If you are a first timer, this is the boat for you. She is extremely spacious and ideal for a big crew. You will have no problem hosting a dinner party for adults or a children's birthday party. She will take you to remote places safely and bring you back more rested than ever. Fall in love with sailing, and believe us - once you do, you will never go back! Experience being at sea like never before, everyone will tell you this is the best way to do it. Many amazing places can only be reached by boat - secret little coves and beaches, beautiful islands of all shapes and sizes, and if you're lucky, you might even spot some dolphins! Even if you sail away to such places, have no fear - she is fully equipped with everything you will need for the week, all you need to do is stock up on groceries and drinks. Her kitchen provides plenty of storage space. 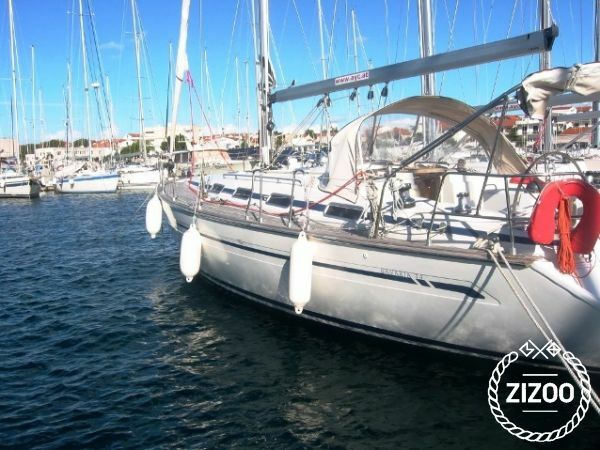 Sailing makes you realise how little you need when staying onboard, just book her and see!